FREETOWN, Nov 06 (IPS) - The fight against the deadly Ebola epidemic ravaging West Africa seems to be hanging in the balance as Sierra Leone's Minister of Health and Sanitation Dr Abubakar Fofana told IPS that the government is overwhelmed by the outbreak. "We were not prepared for this Ebola scourge. It took us by surprise and with our weak health system, we can only rely on support given to us by our international partners," he told IPS. According to a report published last week by British charity Save the Children, five people are infected every hour here and the situation is worrisome. The government has, however, downplayed this, claiming the report is hugely exaggerated and that the situation is getting better in some parts of the country. However, concern is being raised by civil society and the public about how the government is handling the outbreak. Bernard Conteh, the director of the rights advocacy group Anti-Violence Movement, told IPS: "The authorities should be more pro-active. They should pay health workers, who are the frontline soldiers in this fight, reasonably well and ensure they are supplied adequate Personal Protective Equipments. This is not happening. Even the enforcement of the quarantine of Ebola suspects is not effectively done." On just one day, Nov. 2, 61 new cases were reported across the country bringing the nationwide toll to 4,059 people infected by the virus. This surpasses neighbouring Liberia which, until a month ago, was the worst-hit country. Liberia has recorded 2,515 cases while Guinea, where the epidemic first started, has 1,409 recorded cases of Ebola. Since the outbreak of the epidemic in April, Sierra Leone has lost five medical doctors, more than 60 nurses and auxiliary health workers to Ebola. And the figure keeps going up. The African Governance Initiative has also painted a grim picture of the outbreak here, saying that it is spreading nine times faster than it did two months ago. Of the 12 districts in the country and the capital Freetown, only Koinadugu in the north was Ebola-free — until recently. It now has at least six confirmed cases. Now, no part of Sierra Leone is unaffected but the virus. The government has, however, been assisted by the international community. The United Kingdom has sent medical equipment and health workers, and has built test and treatment centres in parts of the capital. China has also sent medical aid, while Cuba has deployed dozens of medics on the ground. But, there are still many challenges to be addressed. According to the medical charity MSF or Doctors Without Borders, the outbreak is far from over and more help is desperately needed. "There is a huge gap in all aspects of the response, including medical care, training of health staff, infection control, contact tracing, epidemiological surveillance, alert and referral systems, community education and mobilisation," MSF says. As the fight against the killer epidemic continues to prove difficult with the virus spreading fast, the government in Freetown has just implemented a year-long state of emergency. This comes just two days after an earlier 90-day state of emergency, implemented in July in response to the outbreak, ended. Attorney-General and Minister of Justice Frank Kargbo told IPS the extension of the emergency period was necessary to help control the spread of the virus. 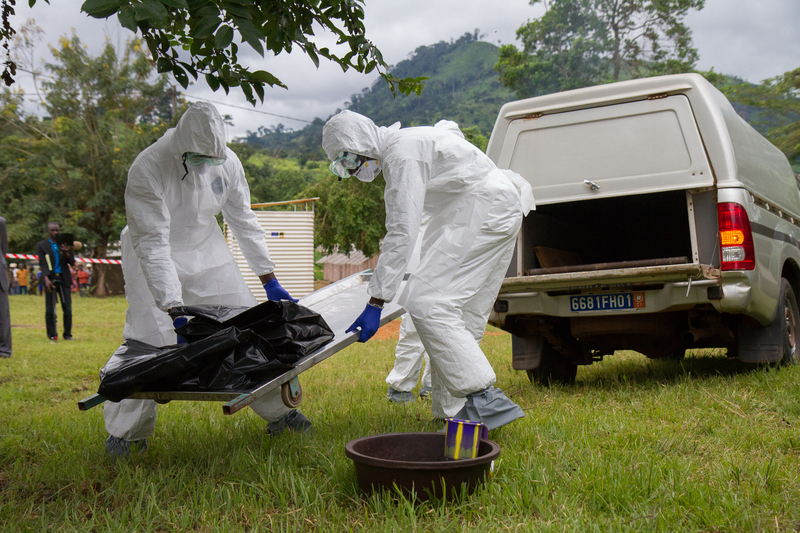 "No one knows when the Ebola epidemic will end. We believe that within this period and with our hard work, we will be able to contain the disease." Many attribute the rapid spread of the Ebola virus to people's attitudes and, as MSF says, a lack of sufficient community education and mobilisation. Cultural practices and traditional beliefs are also greatly hampering the fight against Ebola. "Our people still continue to touch, wash and bury their dead. This is an easy way to get infected, even though they have been told repeatedly not to do so," the chairman of the National Ebola Response Committee, Alfred Palor Conteh, told IPS. People also refuse to report to hospitals when they fall ill because of the fear of stigmatisation by their families and communities. Many believe that Ebola is fatal and that going to treatment centres will not help. Ebola survivors and discharged patients also face stigmatisation. However, Health Health and Sanitation Minister Fofana said he was hopeful the situation would be brought under control soon with international help.